Chanticleer Baseball Camps at Coastal Carolina University are open to any and all entrants and are only limited by number, age, grade level and/or gender in accordance with NCAA rules. Attend this event AND the Pro-Positional camp for just $230. 2 players were signed by Coastal out of this event last year! The Pro Positional Showcase Camp will consist of “position specific” instruction followed by a “pro-style” workout/showcase. This camp is open to any and all participants EXCEPT pitchers. Grades 9-12 are eligible to attend. This camp gives players an excellent opportunity to showcase their skills in front of the Coastal coaching staff as well as other college coaches from throughout the region. Last year’s event was sold out. This camp is open to any and all pitchers. Grades 9-12 are eligible to attend. Home of the 2016 NCAA National Champions! All players must have a signed waiver on file to be able to participate in camp. Please click below to download and print the waiver to bring to camp with you. Please Click here to download and print our camp waiver. Attend this event AND the Pro-Pitching camp for just $230. This camp is open to any and all participants EXCEPT pitchers. Grades 9-12 are eligible to attend. Held at the newly renovated Springs Brooks stadium on the CCU campus. Players will enjoy 4 days of baseball instruction, games, contests and prizes culminating with sliding practice on the slip and slide. Players will be instructed on fielding, throwing, hitting, game play, sliding and baserunning as well as agility, athleticism, and quickness. Come enjoy training with one of the premier college baseball programs in the country and one of the finest college facilities in the nation. Held at 8 Oaks Park in Georgetown, South Carolina. Players will enjoy 4 days of baseball instruction, games, contests and prizes culminating with sliding practice on the slip and slide. Players will be instructed on fielding, throwing, hitting, game play, sliding and baserunning as well as agility, athleticism, and quickness. Come enjoy training with one of the premier college baseball programs in the country and their players. This is a great event for PITCHERS and POSITION PLAYERS alike. We will have skill showcasing and game play to go along with a significant amount of instruction. 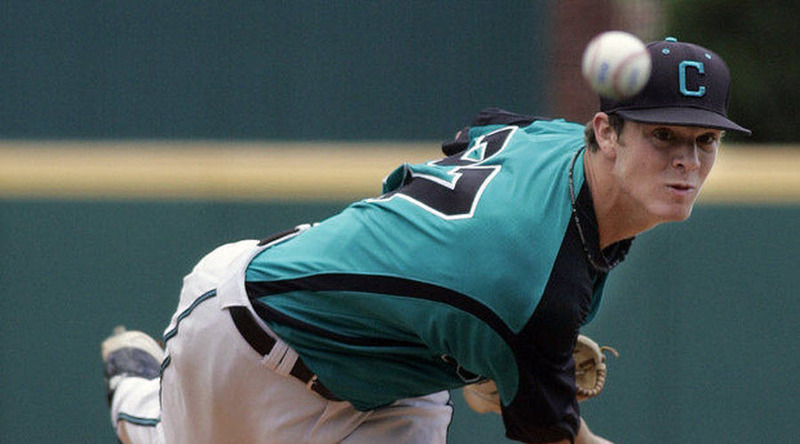 Participants can expect to be involved in a highly intense learning environment, as our staff will teach you how to play “Coastal Carolina Baseball.” Our staff will treat each camper like he is a future Chanticleer. Chant Select is a great opportunity to not only become a better player, but you will also get top of the line instruction from the Coastal staff. We also employ coaches from other local colleges and universities at the event. We are looking forward to seeing you compete here on campus in front of our staff. Besides Coastal we have coaches from 4-6 other universities attend this great event. Camp check-in will begin at 1pm Friday July 26 in the Bonnie Bell hitting facility on the beautiful Coastal Carolina University campus. The camp will run approximately from 2-8 on Friday with dinner being served. Saturday will run from 10-8 with lunch being served and Sunday will be from 9-2pm. 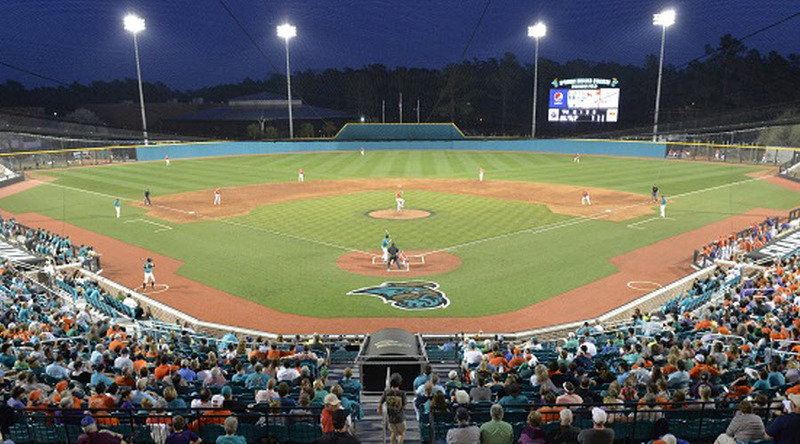 Held at the newly renovated Springs Brooks stadium on the CCU campus. Have a group of 5 or more? Contact Matt Schilling at schill4@coastal.edu to receive a $50 discount per player. Serious players interested in excellent instruction. Grades 8-12 are eligible to attend. THIS CAMP HAS SOLD OUT THE PAST 6 YEARS! The 10th Annual Labor Day Camp is designed for serious high school players who are determined to go on and play at the collegiate and or professional level. Participants can expect to demonstrate their showcase and game skills, as well as receive top-notch instruction from the Coastal Carolina baseball staff as well as coaches from throughout the region. The two-day format packs plenty of baseball into a short time. Be prepared to listen, learn and showcase your talents. This is a working camp so be prepared to work on your skills and receive numerous reps and an opportunity to showcase your talents in a game setting. The Chanticleer Labor Day College Prospect Camp has attracted top talent from all over the country and has seen many players go on to sign with Coastal Carolina and many of the other schools in attendance. 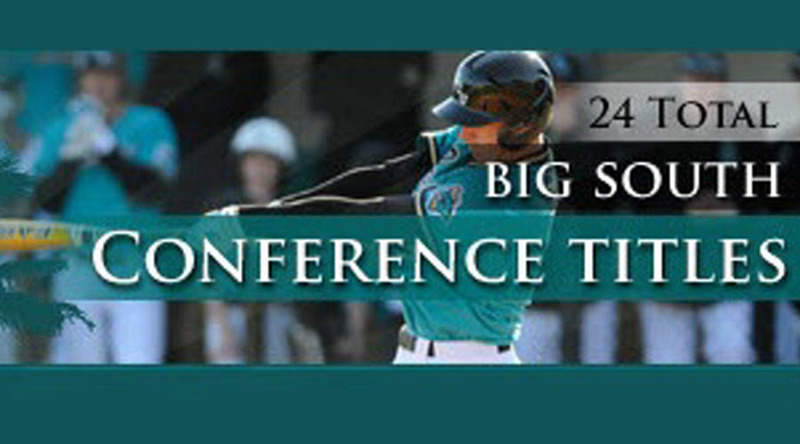 Held at the newly renovated Springs Brooks stadium on the CCU campus and The Ripken Experience of Myrtle Beach. Have a group of 7 or more players? Contact Matt Schilling to receive a $50 discount for each player. Come with all your baseball equipment and your game. Grades 9-12 are eligible to attend.